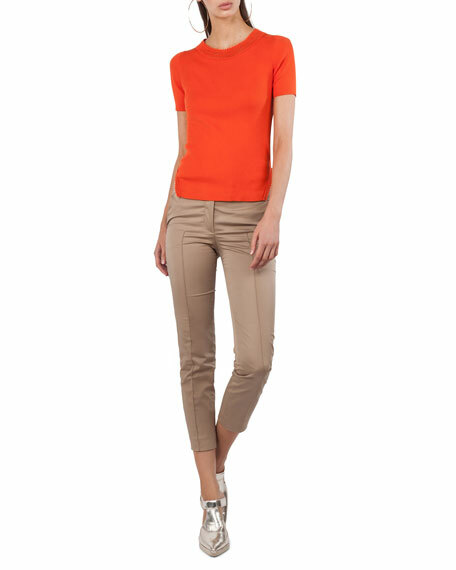 Akris punto "Frankie" stretch-cotton pants. Approx. measurements: 10" rise; 25" inseam; 35" outseam. For in-store inquiries, use sku #2333516.